Dementia is not a disease specifically but more of a term given to a group of symptoms that impact cognitive functioning. Alzheimer’s disease is a form of dementia, but adults with other conditions including Parkinson’s, Diffuse Lewy Body Disease, and Huntington’s can also develop signs of dementia as can healthy adults without any pre-existing medical conditions. Roughly 50% of adults over 85 develop some form of dementia. While not considered a typical sign of aging, the prevalence of dementia does increase with age according to the National Institute on Aging. An estimated 10% of people with dementia have a type called vascular dementia which results from obstructed blood flow to the brain. Often the result of a stroke, vascular dementia can also present from complications due to high blood pressure and brain injury. It is common for people to have “mixed dementia” or the presence of two or more different types of dementia. For example, someone may have memory impairment associated with Alzheimer’s as well as motor functioning issues associated with vascular dementia or language issues associated with frontotemporal dementia. Dementia presents with cognitive and psychological symptoms. Cognitive symptoms may include difficulty solving problems, coordination and motor function issues, trouble planning, organizing, and communicating, memory loss, visual perception issues, and confusion. Psychological issues, on the other hand, capture altered behaviors like personality changes, hallucinations, anxiety, depression, paranoia, and agitation. Dementia results from both the death of nerve cells in the brain as well as communication pathways between brain cells become damaged or destroyed. Progressive forms of dementia like Alzheimer’s and vascular dementia cannot currently be reversed, though some conditions that cause dementia-like symptoms can, i.e. subdural hematoma or infection. A family history of dementia may increase your risk of developing it. Some research has also uncovered risk factors like smoking, uncontrolled diabetes, high blood pressure, sleep apnea, heavy alcohol use, and late-life depression. The clinical course of dementia is being more and more understood as a terminal illness that is itself fatal. Advanced dementia not only strips a person of their ability to communicate and complete self-care tasks, but can negatively affect their mobility, their ability to swallow, and their body’s immune defenses among other things. 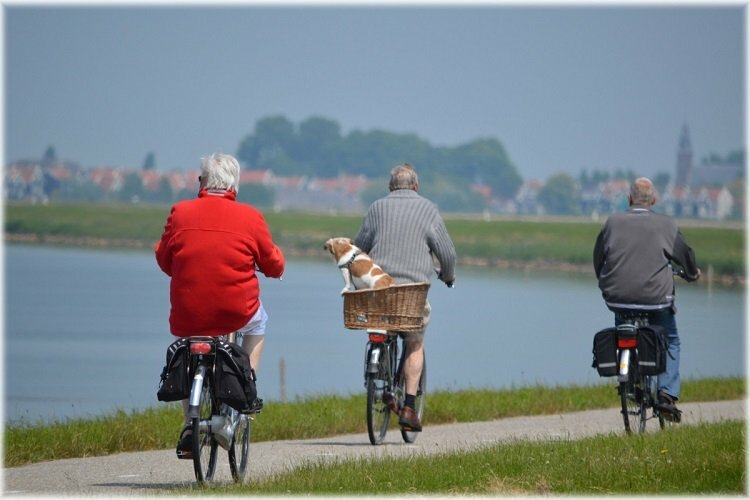 Personal safety risks associated with dementia do not only include memory issues, i.e. not remembering where home is, but the inclination to wander, increased risk for falling, and diminished ability to communicate (i.e. when they feel sick, feel pain, etc). No single test can be used to diagnose dementia. Instead, doctors will conduct clinical and psychological exams and administer brain scans and blood tests. Typically, two core mental functions must be impaired to confirm the onset of dementia. Fortify the brain – stimulate the mind with brain games and activities that involve problem-solving, different languages, reading, using fine motor skills, and memory training. Researchers believe that establishing a reserve of healthy neurons may help stave off the disorder. Quit smoking – like with heart disease, cancer, and most other medical conditions, quitting smoking is one of the best things you can do to prevent dementia. Smoking constricts blood vessels and is hugely detrimental to the respiratory and cardiovascular systems. Monitor blood pressure – high blood pressure, or hypertension, compromises the integrity of the vascular system and may facilitate damage that prevents proper blood flow to the brain. Ensure you maintain a healthy blood pressure by tracking daily readings at home with a digital monitor and talking with your doctor about lowering your high blood pressure. Exercise regularly – couple a healthy diet with 150 minutes of exercise each week to equip the body with the tools it needs to potentially delay the onset of dementia and lessen its effects. Older adults especially can stay active with low-impact exercises like yoga, cycling, hiking, and dancing. Stay social – maintaining frequent rates of social interaction with others could play a role in preventing dementia. Seeing, talking, and engaging with other people stimulates brain functioning and prevents some dementia risk-factors like depression and social isolation. Stay nourished – prioritize a healthy diet high in nutrients including Vitamin D and Omega-3 fatty acids. Staples like wild caught salmon, nuts, whole grains, cheese, egg yolks, chia and flax seeds are a great place to start.